Does your little one have some serious sneaking ability? While crime never pays, a swift hand comes in handy. Especially when you're living on the streets of Agraba. And Aladdin might help himself in the marketplace, his thieving ways aren't the only thing that helps him get by. He would have been caught years ago if he wasn't so charming. . . or rather tasty according to one lady he runs into! And sure, we like to know where our next meal is coming from but when we were little there were certain parts of Aladdin's life that were irresistible. For one, jumping from roof to roof seemed like a blast. Secondly, who didn't want a pet monkey with an attitude? The thing that appeals to us these days? His rooftop view. What we wouldn't give watch the sunset in that shabby chic setting! Does your son share your love of this underdog hero? This costume will have the market hawkers counting their melons in no time. 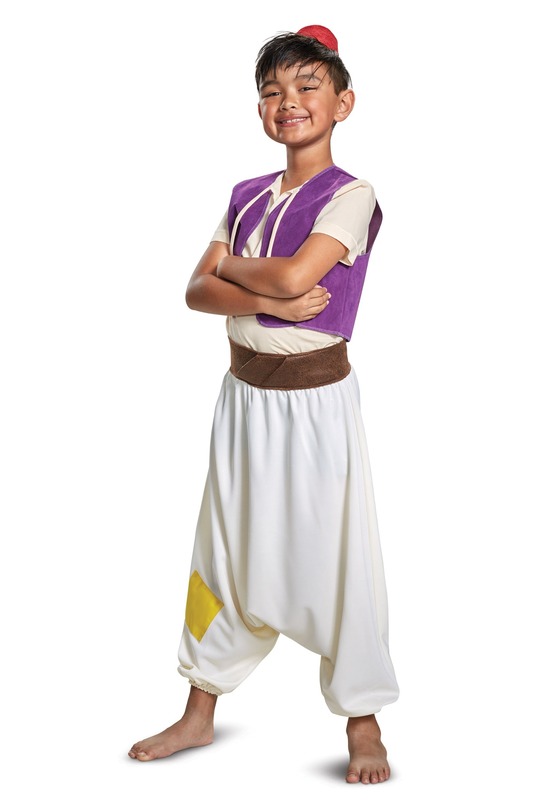 This Disney licensed costume has the street rat look we all fell in love with since we first saw Alladin run from the palace guards. The white Aladdin pants have a harem cut with patches and a thick faux leather belt. 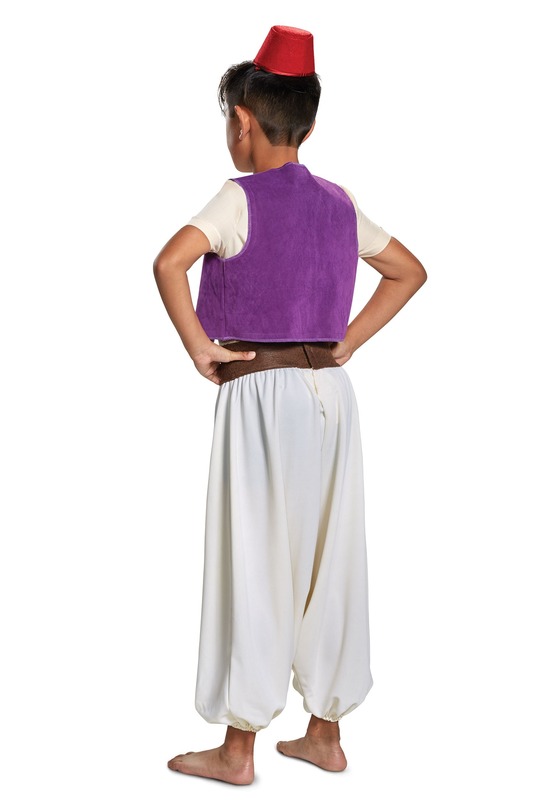 The cream top is layered under a purple vest. Top the whole look off with Aladdin's red cap and your child will be ready for the streets of Agraba. When you're ready to hand your little one his street rat card, be prepared for a few changes. He might be pretty interested in parkour and sneaking around. He might break into some of your favorite Disney songs. And you can be sure that your rugs will all be used as props in magical world travel play. Whatever stems from having this costume at hand, you can be sure your little Aladdin will discover a whole new world!